You are a slightly pudgy 40 year old with a wife and 2 kids. You've been working hard at your 8am-6pm career as a software tester and have recently been promoted to Junior Manager. The 15 year old Nissan Altima you've been driving since before your 2nd kid was born is looking a bit sorry but you've managed to save a few dollars for a weekend car. A sports car that would get you noticed sounds great, but they are impractical and you've always needed an RV for family trips...what if you could find something that would fit your extroverted needs and haul the family up to see aunt Bridget during August? 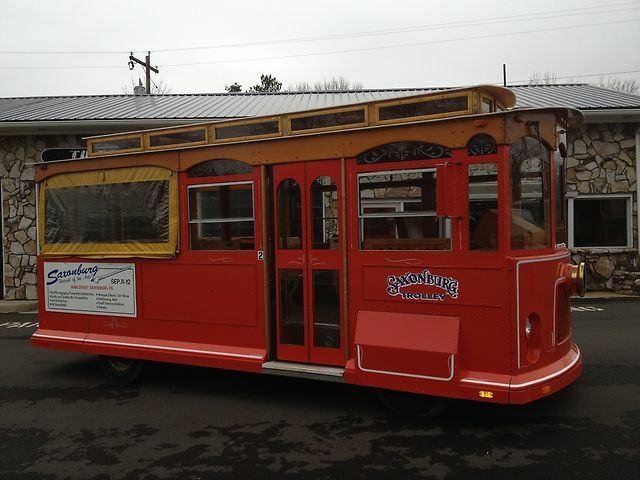 Find this 1987 Chevrolet Trolley Car for sale in Valencia, PA currently bidding on ebay for $5,400 reserve-not-met with 1 day to go. 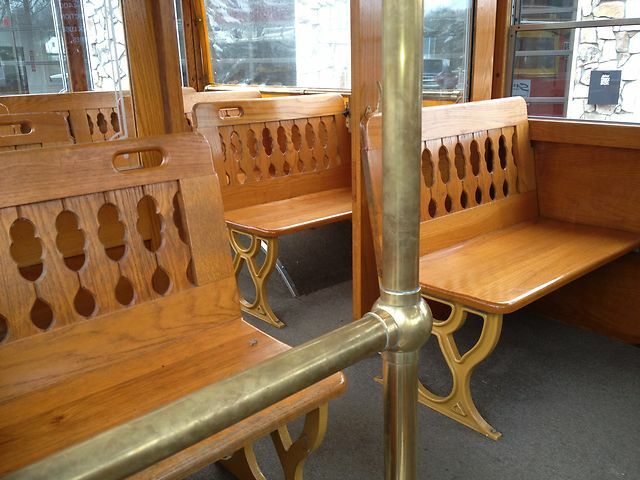 While technically not an actual trolley car designed to run on tracks, this is a replica classic streetcar built on a Chevy P30 motorhome chassis and powered by a 454 cubic inch Big Block V8. It is sold as an original owner 30k mile garage kept classic...strange terms for a commercial vehicle, but it does look mint in the photos. It features seating for 18 and room for an additional 6 standing...but our biggest question is: can it drive on the freeway? ~ P-30 motorhome chassis is meant most specifically for highway travel. i don't know if the body and interior were built with that in mind but no matter. i want it a bunch. i want a small fleet of them. heavy on the crisis, mid-life will have to wait. I don't think there's any reason it can't be road-legal for highway or freeway use. It might be second place in a race to 30mph against a 2CV and the first aid kit may be a pair of tweezers and a large bottle of Bactine, but this is pretty cool. Looks very similar to housecars of the '20's and early '30's. Hook a pop-up cooking trailer to it an convert it into a go-anywhere trolley-car diner! The ultimate tailgating vehicle!! Your ad copy is the best, bar none. Does anyone know if this is for sale? I'm looking to buy a "mini' trolley. Please let me know, thanks!